When Practical Kingdom Living (or whatever it will be called) launches, a significant part of it is going to be spotlighting people who are challenging the conventional thinking of the world and doing unconventional things for God and his Kingdom. 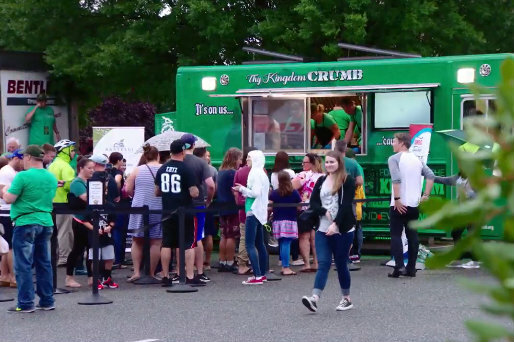 Thy Kingdom Crumb is a community initiative dedicated to helping ALL people experience the unconditional love of God in a tangible manner by distributing quality food for free. Thy Kingdom Crumb is meant to uplift everyone and anyone in the Greater Philadelphia and South Jersey area regardless of their socioeconomic circumstance. It is our goal to communicate to each person we come in contact with that they are seen, valued, and unconditionally loved by Jesus. You can learn more at thykingdomcrumb.org. The NFL also did a nice video and article on Thy Kingdom Crumb here too. This is awesome! Way to go Carson and The Connect Church… but it’s completely irrelevant to living my day-to-day life for Jesus and the kingdom of God. I’m not a famous NFL quarterback, and I don’t have a quarterback’s salary which I can use to go out and buy a food truck and give away free food. But that’s the conventional thinking of the world. Then we go and trust he will provide along the way, because God’s influence and resources are unlimited, and He is a loving, generous Father who desires to involve us in the building of his kingdom each and every day. On a personal note, this Sunday, September 30, I’ve been given the opportunity to help Journey Community Church, the local church I’m a part of, kick off a teaching series on the Gospel of the Kingdom. I’m really excited about what God is doing in our community! If you’re in the Safety Harbor, FL area, I invite you join us at 10 AM. It’s also Brunch Sunday. We eat brunch together during the service, so bring a dish to share. A big part of Practical Kingdom Living is building community. Your comments & discussion help to do this. What do you think of Thy Kingdom Crumb? Do you sense God may be calling you to something but lack the influence and resources to do it? 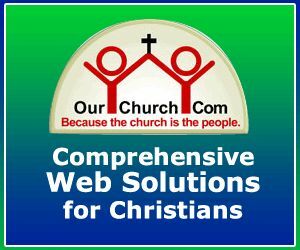 Kingdom of God: Practical or Impractical?